Boston 1775: Lecture Series at Bunker Hill Museum Starting 15 Mar. 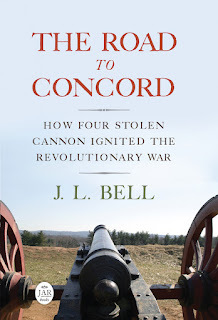 Lecture Series at Bunker Hill Museum Starting 15 Mar. Ranger White from Salem Maritime National Historic Site will explore how British Customs agents in the colonial ports of Boston and Salem sparked unrest and galvanized colonists to defy British rule. This talk will trace such historic events as the Navigation Acts, the Stamp Act, and the Boston Tea Party as taxes and tariffs shaped public opinion in the prelude to war. Dr. Triber, author of the 1998 scholarly biography of Revere, commemorates the start of the Revolutionary War on this date by describing the silversmith’s fateful mission for Dr. Joseph Warren, his busy midnight ride, and “The Shot Heard ’Round the World”—and Revere’s many other activities for the Patriot cause. This year marks the 250th anniversary of the first military occupation of Boston as army regiments disembarked in October 1768 to assert the London government’s control over the port. That move only escalated social and political tensions. How did Boston residents respond to the sudden arrival of hundreds of soldiers? How did those soldiers find their new American home? What individual stories do the sources hold for us? All these talks are free and open to the public. Each starts at 7:00 P.M. in the Bunker Hill Museum’s lower level meeting room at 43 Monument Square in Charlestown. This lecture series is offered in cooperation with Revolution 250, the coalition commemorating the Sestercentennial of events in Massachusetts leading up to 2026.